If you were injured in a West Palm Beach hotel, then you should consult the West Palm Beach hotel accident lawyers at the Wolfson Law Firm. What makes hotel accidents unique is that fact that you were most likely on vacation. A vacation that you saved for and anticipated. The last thing that you expected was to be injured. If your injury could have been avoided and was caused by the hotel’s negligence, then the responsible party should be held accountable. That is where the West Palm Beach hotel accident attorneys can help you. Call us at (855) 982-2067 for your free consultation. WPB Hotel Parking Lot and Garage Accidents - Parking lots and garages can often contain hidden hazards. Some accidents involve cars, shuttles, taxi’s or limos. In addition, slip and falls can also occur in West Palm Beach Hotel parking lots and garages. The important thing to remember is that if you suffered any type of injury at a West Palm Beach hotel or resort, then you should speak with the best West Palm Beach hotel accident lawyer that you can find. Get the answers you need and the justice that you deserve. Never ever be a silent victim – you and your family deserve better! At the Wolfson Law Firm, our WPB accident lawyers are here to help you. We consider it part of our contribution to the community to provide information for not only our clients but the public at large. We are available by phone, by text, via Skype or at our offices by appointment located at 515 N. Flagler Drive, #P-300, West Palm Beach, Florida 33401. 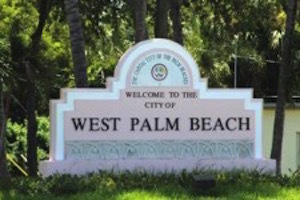 Our West Palm Beach injury lawyers proudly serve all the communities of Palm Beach County including Boca Raton, Wellington, Jupiter, Delray Beach, Palm Beach, Lake Worth, Boynton Beach, Deerfield Beach, West Boca, Belle Glade and Lantana.